Congratulations to Dr. Jim Amonette at Pacific Northwest National Laboratory on writing a chapter in a new book that is likely to become the definitive reference work on biochar. Published in March, Biochar for Environmental Management is the first book to bring together the expanding research literature on the potential environmental applications of biochar. The material biochar is a form of charcoal that is produced when biomass is burned under low-oxygen conditions to release energy. The book's interdisciplinary approach covers engineering, environmental sciences, agricultural sciences, economics, and policy aspects. The book’s editors selected Amonette to write the chapter entitled “Characteristics of Biochar: Microchemical Properties” because of his reputation as a soil mineralogist and chemist, his interest in soil-carbon sequestration, and his current research in the characterization and usage of biochar. Amonette’s chapter focuses on the chemical makeup of biochar at the microscopic and molecular scale. Generation and storage of biochar in soil may offer a long-term soil-based solution to the global climate change problem. The process transforms the biological matter into a more stable form of carbon, slowing the release cycle and thereby keeping more carbon out of the atmosphere. Amonette's work focuses on what happens when the biochar is added to soil. “The potential for biochar to permanently sequester atmospheric carbon is on the order of a billion tons per year, if sustainable practices are used,” said Amonette. 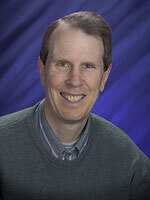 Amonette has 29+ years of research experience and has been with PNNL since 1986. He has authored or co-authored 57+ peer-reviewed scientific journal publications, 20 book chapters, 40 technical reports, and 6 patents.